Tailwind Publishing Extension makes it easy to schedule and publish content from across the web! Post more Often: Find and schedule multiple images from any website via the toolbar button. 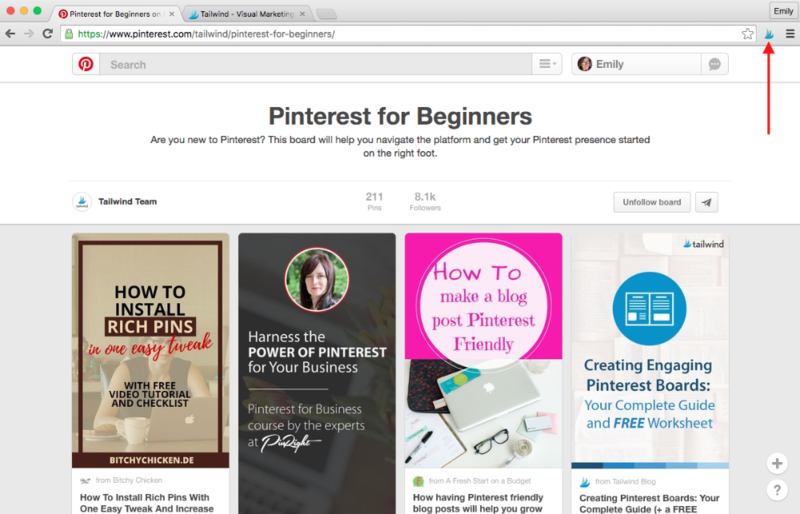 Repin in Bulk: Quickly repin one or more pins directly from Pinterest.com! You can use Chrome, Firefox, or Safari to schedule and publish content through Tailwind. Hop on over to our How-to-Schedule article for examples on the best ways to use our Extension and Bookmarklet to schedule content in bulk or just one at a time! Helpful Tip: Tailwind does not support Internet Explorer, Opera, or Edge browsers.